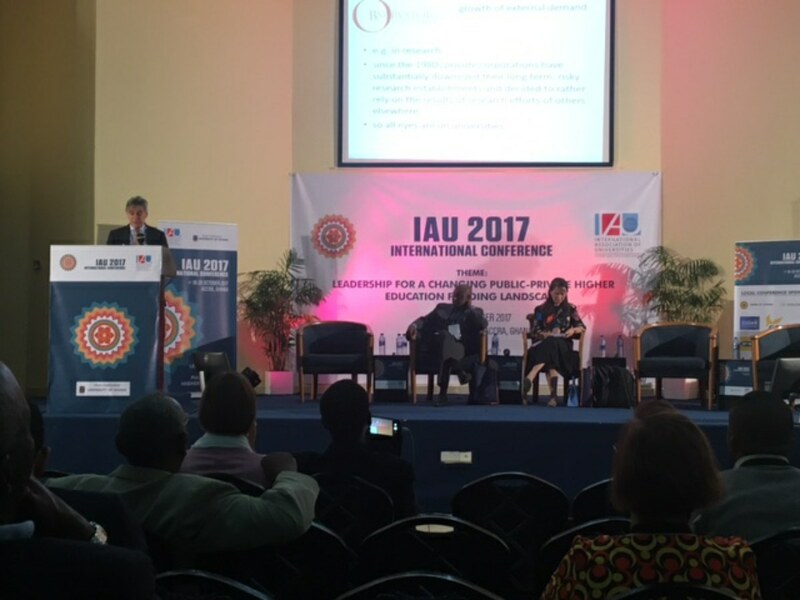 The MCO was represented at the IAU’s international conference in Ghana on 18-20 October and led a substantial break-out session on Value based leadership. 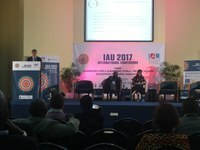 The conference Leadership for a changing public private higher education funding landscape was hosted by the University of Ghana in Accra. It was attended by over 200 participants from 41 countries. It provided opportunities for rich discussion on a number of issues relevant to the Observatory. Principally, the President and Secretary General led a workshop entitles Value based leadership and mindset change as catalysts for building effective universities. This was most popular and attended by some 70 participants. As part of the session smaller groups addressed questions about the roles which values played in the leadership and operation of their universities and how their values might be operationalised to enable their universities to have greater impact. The findings will feed into the MCO’s Living Values project. The President also spoke in the plenary session Higher education and research: ethical challenges for a transforming world. As for the ‘public private’ distinction – this proved to be complex and IAU is to contemplate further work on the subject.